But my daughter is my daughter all of her life. The poem is in harmony with the biblical endorsement that a man should “leave his father and mother, and stay close to his wife.” It seems that it is common throughout history for a man to become more distant from his parents after marriage. I mistakenly thought that in these modern times, this poem would be too old-fashioned for my son. However, as I watched him say his wedding vows to his new wife, I felt deep within my heart that it held truth. He was no longer mine. When my son was born, my aunt recited the poem above to me. I never really knew what it meant until my son went off to college and then met the woman who would be his wife. This weekend, in a beautiful ceremony, my son and daughter-in-law were married. The pair will make their lives four hours away from where I live. The couple lives close to the bride’s parents, and they will be privy to his everyday comings and goings. As the priest bestowed blessings upon the two, I cried tears of happiness and sorrow. Happiness that my son had found the half of his heart that was missing until his bride came along, and of sorrow, that my son was no longer my baby boy. He belongs to his wife and the life that they must forge together. He is independent and strong. He does not need my protection any longer, but must now be the protector of his new family. I gazed up into his strong, mature face as we moved to the Mother/Son dance at the reception. The little boy was gone and a man had taken his place. This was a man of honor, integrity, and strength. He was all the things that I hoped he would be as he was growing. Moreover, as hard as it was, I knew it was time to liberate him from my parental embrace. It was time to hand him over to his new life and his new love. I imagine that all mothers with sons mourn the loss. The shift in the relationships leaves the mother, who was once the most important woman in her son’s life, playing second to the new woman. However, the mother must free her son so that he can be self-reliant and give his attention to his wife. It is imperative that the wife take center stage. It is traditional, granted, however, the purpose is still as viable today, as it was in biblical times. It is the way it must be. Therefore, it is with great joy that I give my son to his new wife and welcome her into our family. I am confident that our relationship will grow to be strong and lasting. In addition, the old saying, “I have not lost a son, but gained a daughter” holds much truth and wisdom. The circle of love and life will continue to eternity. Blessings and Peace. 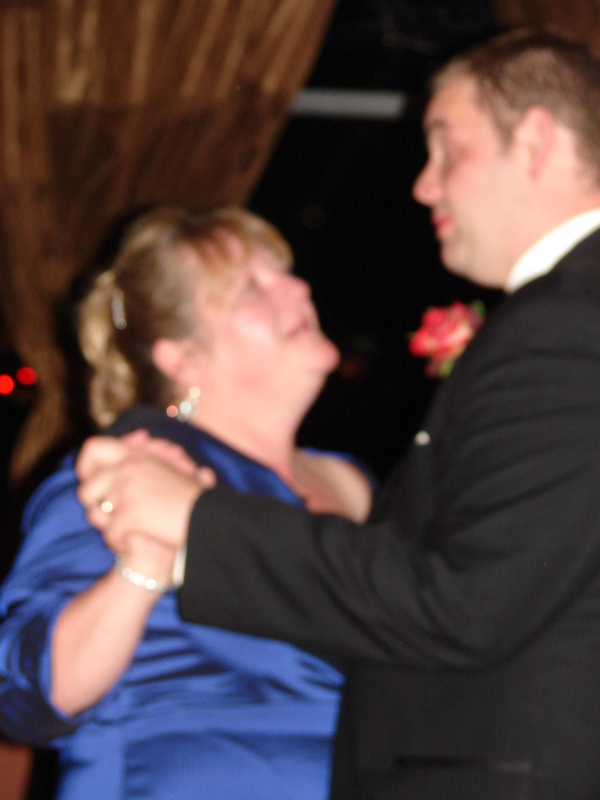 Posted in Words of Wisdom and tagged A son is a son until he takes a wife, Daughter-in-Law, Grandmother Musings, love, marriage, Mother, mother son dance, motherhood, postaday, Son, spirituality, transitions, weddings. Bookmark the permalink. What a beautiful post. It made me a bit misty knowing this will happen to me with my sons one day. Oh how wonderful and moving. You know this. You have to have some sense of having done your job well. I’m happy for you, and your son and his wife. She is getting a special mother in law. Wonderful post. Boy, do I empathize … I went through that twice. You want your children to be strong and independent, I mean.. that is the goal when we raise them, right? But, yes, it hurts to watch them walk away to their new life. An odd odd blend of sadness and happiness. What a wise and wonderful woman you are. I hope your son and new daughter will read this very loving and tender tribute to their union. The word of God is reliable and beneficial for our lives. When applied it cannot fail. CONGRATULATIONS TO ALL OF YOU!